Up to $51,000 was being offered Monday for information that leads to the conviction of whoever fatally shot a 23-year-old motorcycle rider in Balboa Park five years ago. 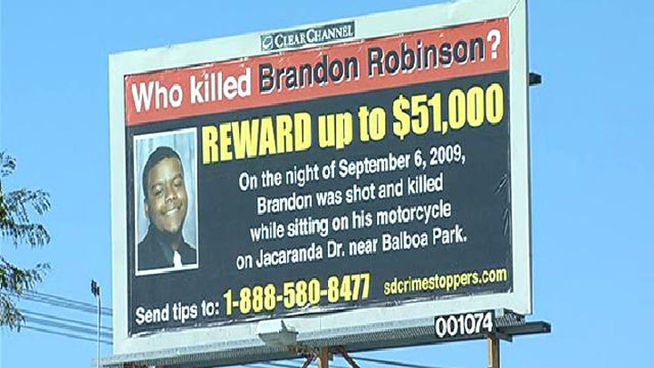 Brandon Robinson of San Diego was found mortally wounded next to his motorcycle in the Morley Field area on Sept. 6, 2009, according to San Diego police and Crime Stoppers. 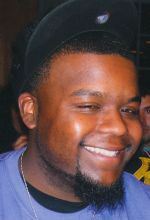 Authorities said Robinson was attending a birthday party in the park when someone shot him. Police and Crime Stoppers sought the public’s help to identify the shooter. The Governor’s Office put up a reward up to $50,000, and Crime Stoppers was offering $1,000. Anyone with more information as to the name or whereabouts of the shooter was asked to call the San Diego police at (619) 531-2293, or contact Crime Stoppers at (888) 580-8477; email, sdcrimestoppers.org.